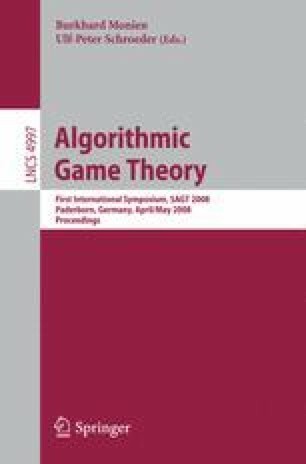 We consider the solution concept of stochastic stability, and propose the price of stochastic anarchy as an alternative to the price of (Nash) anarchy for quantifying the cost of selfishness and lack of coordination in games. As a solution concept, the Nash equilibrium has disadvantages that the set of stochastically stable states of a game avoid: unlike Nash equilibria, stochastically stable states are the result of natural dynamics of computationally bounded and decentralized agents, and are resilient to small perturbations from ideal play. The price of stochastic anarchy can be viewed as a smoothed analysis of the price of anarchy, distinguishing equilibria that are resilient to noise from those that are not. To illustrate the utility of stochastic stability, we study the load balancing game on unrelated machines. This game has an unboundedly large price of Nash anarchy even when restricted to two players and two machines. We show that in the two player case, the price of stochastic anarchy is 2, and that even in the general case, the price of stochastic anarchy is bounded. We conjecture that the price of stochastic anarchy is O(m), matching the price of strong Nash anarchy without requiring player coordination. We expect that stochastic stability will be useful in understanding the relative stability of Nash equilibria in other games where the worst equilibria seem to be inherently brittle.